A couple of days back, we brought you a universal rooting method for Gingerbread-based Samsung smartphones, courtesy of the hardworking folk of XDA developers. Today, we present you a similar discovery, this time for Motorola devices running the Big G’s older smartphone software. The method, naturally, comes straight from XDA once again via member rodrigojfuentes, who has offered a simple method which should effortlessly root all Motorola phones currently running Gingerbread. One snag, however, is that you’ll need to be running a Linux machine, although Windows and Mac users can simply load Linux virtual machine. It is, unfortunately, a bit of hassle, but once the device has been rooted, you can continue with your normal OS and configuration. Besides, a couple of basic commands and alterations later – as detailed in the step-by-step tutorial below – will have you on your way. We strongly recommend you adhere to the steps religiously and refrain from cutting corners – we don’t want to mess anything up. Step 1: Presuming your device is running unrooted Gingerbread, you’ll need to ask for a rooted gingerbread userdata partition image (aka CG37), with a modified local.prop file and USB Debugging enabled. Step 2: Next, you’ll need to alter the value of ro.sys.atvc_allow_all_adb from 0 to 1. Step 5: In Linux, you’ll need to extract the contents of the folder found in this .zip, after which, you should also copy CG37.smg and your original, non-rooted SBF into that same folder. And that’s it. 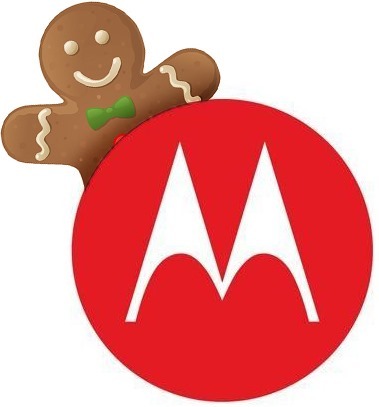 If you followed all of the steps correctly, your Motorola smartphone should be rooted on Gingerbread! If you find yourself in any difficulty along the way, please check out the original thread over at XDA here.